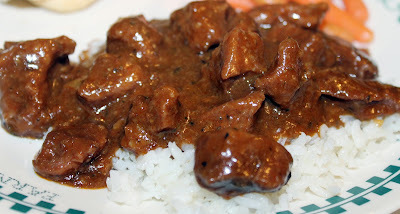 One of my favorite fall or winter dishes, Hungarian Goulash is simply a "stew" of sorts with paprika added. The German version contains no potatoes, while the Hungarian version usually adds potatoes and sometimes even carrots. 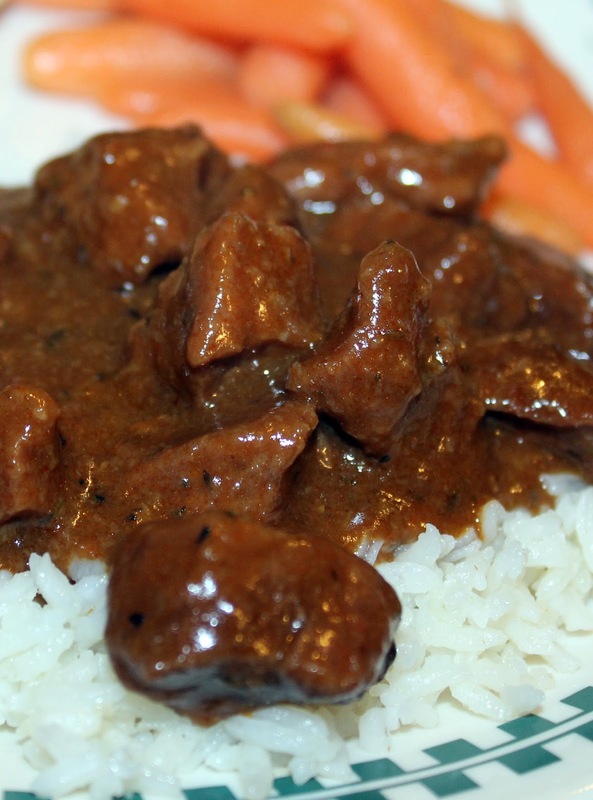 My first encounter with Hungarian Goulash was in a very old paperback Crock Pot cookbook. That version added ketchup instead of tomato paste, and while good and one my family enjoyed, we've since had it the German way and far prefer it. What is goulash? In Hungarian cuisine, traditional "Gulyásleves" (literally "goulash soup"), "bográcsgulyás", pörkölt, and paprikás were thick stews made by cattle herders and stockmen. Garlic, caraway seed, bell pepper, and wine are optional. These dishes can be made as soups rather than stews. Excepting paprikás, the Hungarian stews do not rely on a flour or roux for thickening. Tomato is a modern addition, totally unknown in the original recipe and in the whole Central European food culture until the first half of the twentieth century. Preheat oven to 350 degrees. Spray with cooking spray, or lightly grease, a 9 x 9-inch covered casserole dish. 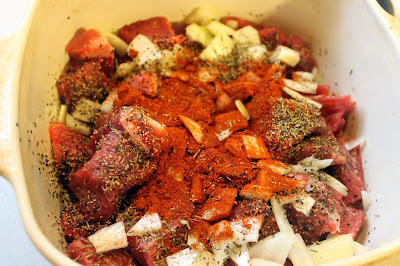 Add cut stew beef, onion, garlic, paprika, thyme leaves, salt and pepper to casserole dish. Sprinkle flour over all and stir to coat. 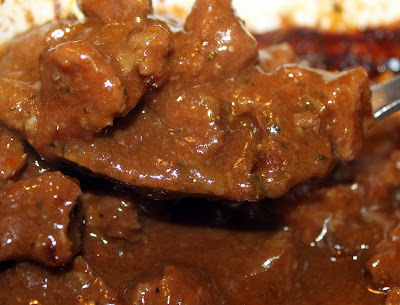 Stir in wine and beef broth; cover and bake in 350 degree oven for 1 1/2 to 2 hours or until beef is very tender stirring once or twice during baking time. Remove from oven and serve over your choice of egg noodles, rice or potatoes. Cooks note - recipe is easily doubled. For preparing in a slow cooker, add all ingredients and cook on low 6-8 hours.